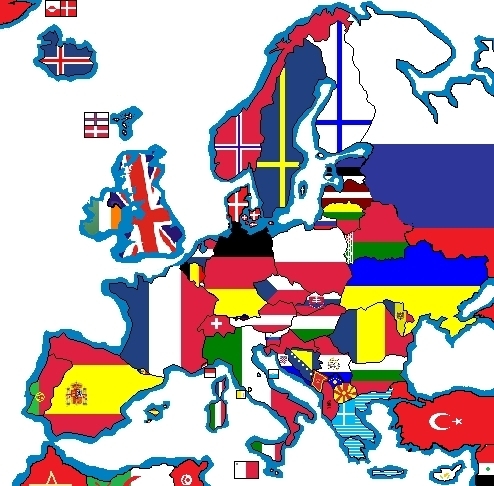 updated Europe flag-map. . Wallpaper and background images in the Europe club tagged: europe travel tourism european countries flags map updated. This Europe photo might contain anime, comic book, manga, and cartoon.